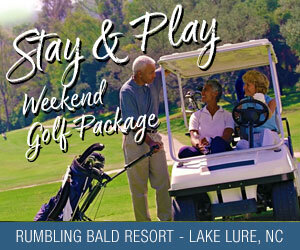 Some people would argue that golfers are the easiest people to buy presents for because you can never go wrong. Sure, we like the “hole-of-the-day” desk calendar and the occasional sweater vest, but what really gets us going is new equipment. One look at the money spent by golf equipment firms on advertising “10 more yards” or “game improvement” and it’s easy to see what our soft spot is when it comes to golf. There are some new innovations that are actually already on the market just in time to justify to your significant other that you need a new set of irons for 2016. One such company, known mainly for its forged, “players” irons, is Mizuno. But, the company has come up with a new formula and design with boron that it hopes will bring all levels of golfer into the mix. The saying at the company is “nothing feels like a Mizuno,” and Harper Cornell, PR Director at Mizuno USA, said the company wants to focus on bringing its technology to all levels of golfers. “We want to be able to provide the best possible product to have the best experience out on the course,” she said. For the purist, or low handicap golfer, the new MP-5 line is right in line with the feel one desires, along with more forgiveness on the longer irons. The channel back flow design offers players predictable and reliable ball flight control, which is crucial for shot making. The MP-5s offer feel and precision using high-quality 1025E Pure Select steel and Mizuno’s Grain Flow Forging process coupled with H.I.T. (Harmonic Impact Technology). “We want to get back to that clean, pure style that golfers have expected over the years,” Cornell said. 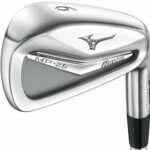 The MP-25 line is new for Mizuno because it uses the company’s Grain Flow Forged 1025 Boron. The MP-25 irons strike the balance between giving the player added distance without sacrificing one ounce of feel or ball control. To help activate the 1025 Boron material, Mizuno’s team of designers created the micro-slot which helps the face flex for added distance. 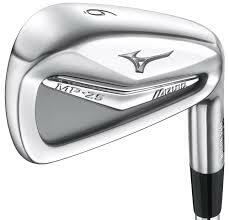 Also, with standard lofts, the MP-25 iron maintains proper gaps between irons so that the player has ideal distance control. Boron was introduced last year in Mizuno’s JPX line of clubs, and is new this year in its MP line of forged clubs. When thinking of irons and trajectory, it would be hard to argue that there was none better in his time at controlling distance with trajectory than Ben Hogan. The Callaway golf company bought the Hogan line back in 2003, and has recently launched new irons under the famous Apex name (which Callaway retained). But one man, Terry Kohler, saw a vision in bringing the Hogan name back to the forefront of golf. Kohler, the president/CEO of the Ben Hogan Golf Equipment Company, introduced its Fort Worth 15 irons earlier this year. They offer the look, feel and technology that golfers have come to expect out of Hogan irons. The irons are custom designed with loft numbers on the sole instead of the traditional iron numbers we have become used to over the years. The idea being that it gives the golfer more options to work with as far as picking the right trajectory for each iron, and therefore hopefully improving the scoring potential. What is brand new is the Wedge Fit personal wedge selector tool. This online engagement feature draws from a database of iron model specifications to precisely recommend the Ben Hogan TK15 wedge arrangement that will ensure optimum distance gapping for any golfer. One reason, Kohler says, is that golfers are essentially hitting the same type of wedges they did 50 years ago, but for different reasons than they were used back then. As he speaks, he is holding a 1955 vintage Ben Hogan sand wedge. Kohler stresses that trajectory is the key to consistent wedge play, “and Hogan was all about trajectory, because that’s where your distance comes from.” The purpose behind the Wedge Fit personal wedge selector tool is to allow players and fitters to determine the proper “prescription” of wedges, including the right lofts, shafts and specifications to better optimize scoring range performance. Team Titleist says its new 716 AP2 irons have Tour-proven distance with forgiveness and solid forged feel. New AP2 irons use high-density tungsten weighting to position the center of gravity low and perfectly aligned at impact for more speed. A co-forged construction places the high density tungsten low and to the perimeter, increasing MOI for greater forgiveness and consistent distance, the company claims. Titleist 716 AP2 irons were made available in golf shops in late October.